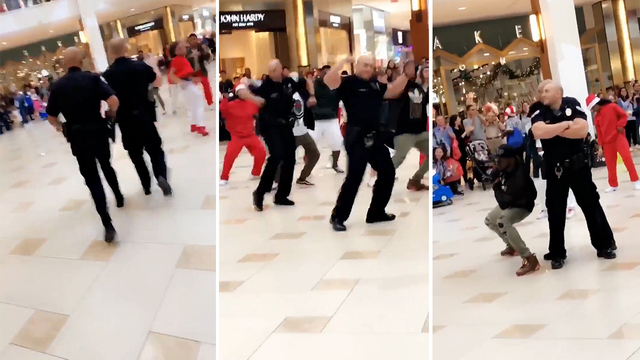 It seemed like two Florida officers tried to put an end to a flash mob inside a mall, but they ended up being part of the entire act. On Thursday, visitors at the Aventura Mall in Miami were cheering on a flash mob of local dancers, according to mall officials. Those cheers quickly turned into boos when two police officers interrupted the performance, but ended up joining in on the routine, Fox News reports. It was a choreographed performance that was captured on video and shared by the Aventura Police Department on Twitter.